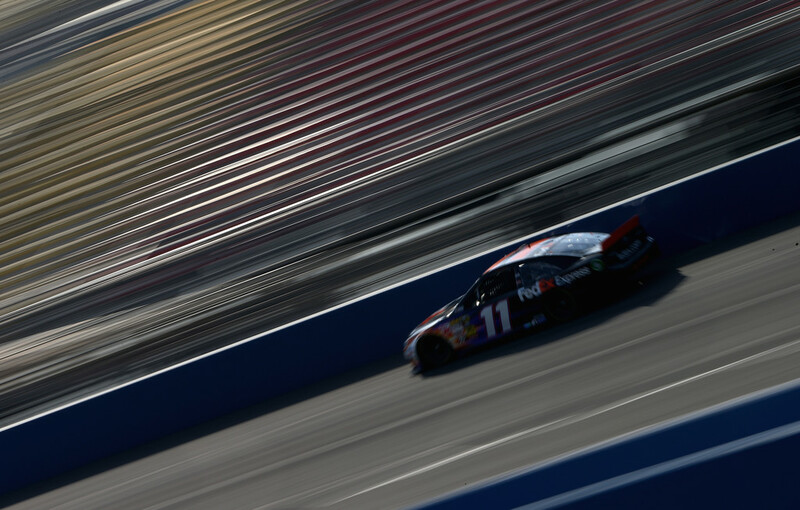 Denny Hamlin once again had the car to beat during the Auto Club 400 at Fontana, but once again wouldn’t get the finish he deserved. Hamlin hung around in the top 5 most of the day, but towards the end of the race got shuffled back on restarts. Darian Grubb made the call before the final restart to bring Hamlin and the #11 FedEx Toyota Camry down pit road for four fresh tires. This allowed Hamlin to race from 16th to the lead where he would battle with Joey Logano on the final lap. Joey Logano pushed up into Denny killing both their momentum and allowing Kyle Busch to take the lead. Logano’s contact caused Denny to spin and hit the inside wall where there was no safer barrier very hard. Hamlin climbed from his car but immediately fell to the ground due to lower back pain. He was air evaced to the hospital immediately for further observation. He is being held in the hospital for observation and we are all sending our prayers out to Hamlin and his family. We will keep you updated as we here more information.